Since Hexagon took over the Vero portfolio, things have moved on apace. Al Dean takes a look at the latest updates to its production machining-focused EDGECAM. From its origins as a 3-axis focused production CAM system, Hexagon’s EDGECAM has come a long way in recent years. Today’s system looks as fresh and modern as ever and its emphasis remains on making life easy for the machinist. What’s changed, perhaps, is how the system goes about meeting that not-inconsiderable challenge, as well as the range of production techniques that it now supports. 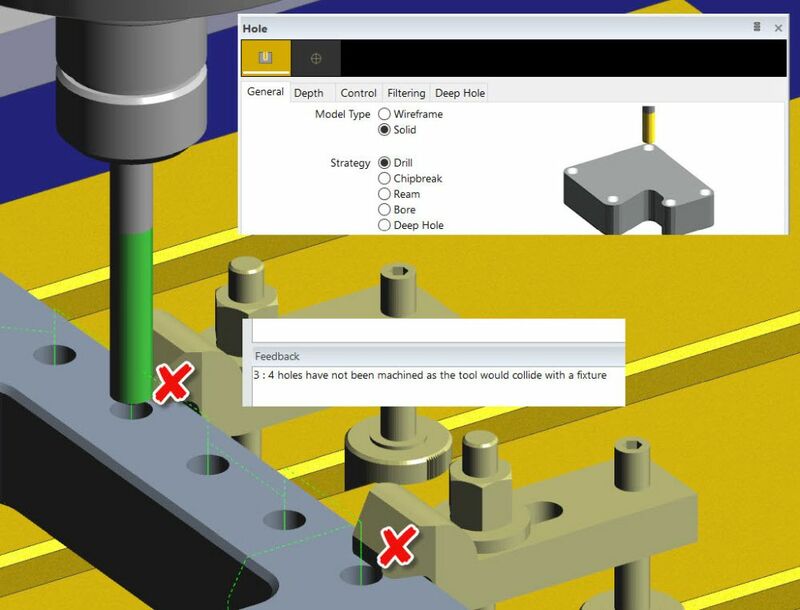 As ever, the EDGECAM interface is up-todate with modern standards, but continues to offer the customisability that many users have come to expect and regularly use. What’s interesting here is that rather than just being a case of configuration – the moving around of toolbars and icons, for example – users now have more granular control over how the system presents commands, options and operations. Using the concept of masks, it’s possible to hard-code in options and variables within a command, and then ensure that only the options that the user needs to change are exposed. If you’re looking at this as a means to clearly establish corporate standards and best practices for users, you begin with a single seat, make all of the customisations (a task that has to be performed ‘in product’), then export a theme to be used across the whole user group. This is also a great way of GUI simplification for occasional users. Introduced back in 2014, Waveform is EDGECAM’s take on trochoidal roughing, whereby the CAM system attempts to maintain a constant load between cutter and stock. What varies between each vendor is how they deliver this capability. 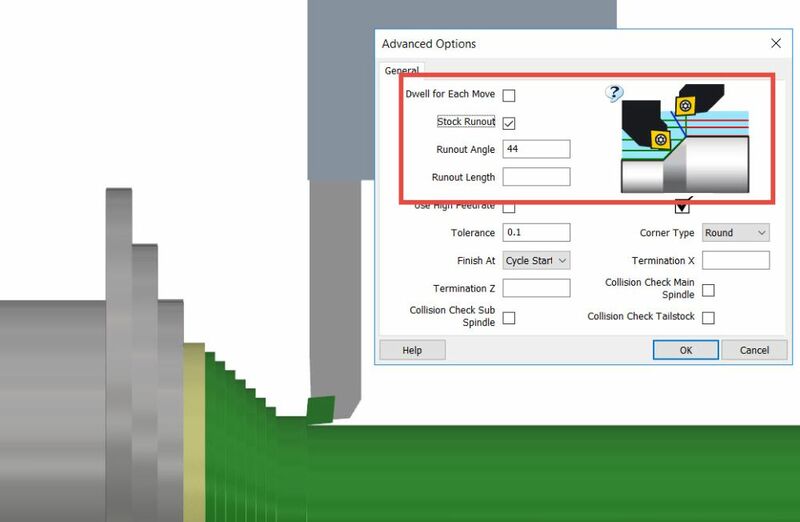 In the context of EDGECAM’s technology, rather than changing speeds and feeds, Waveform adjusts the toolpath to maintain the tool engagement angle (the portion of the cutter in contact with the stock) to within a workable, optimal range (between 20% and 30%) and thus ensures consistent material removal. As a result, in tight spots, such as the corners of pockets, width of cut is reduced. In more open areas, it’s opened up, allowing a constant speed and feed to be maintained. There are a number of benefits to this approach, ranging from more efficient toolpaths to a decrease in cutter wear (and reduced cost as it focuses on cheaper carbide-style tooling), as well as less heat build-up and machine wear. 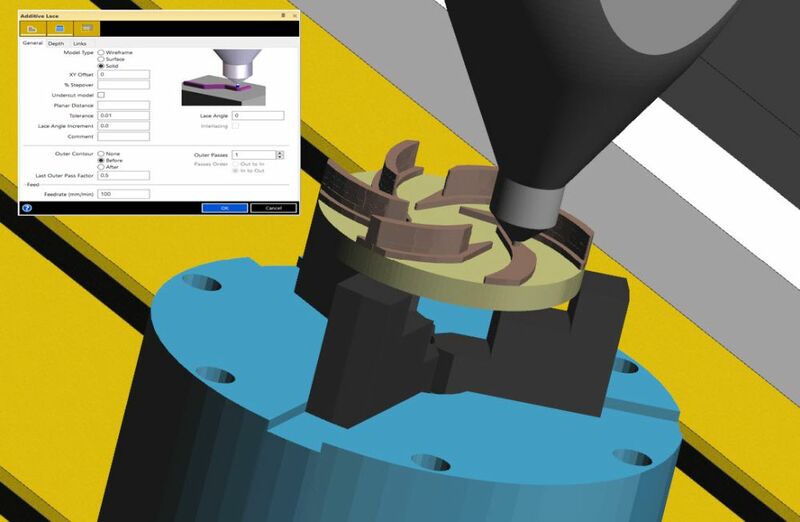 Waveform has expanded beyond EDGECAM, in fact, and is now available in the majority of Hexagon’s milling systems, including Alphacam, EDGECAM, Surfcam, VISI and WorkNC. What’s new for the 2019 release is that the team has also integrated this capability into the turning environment. This is focused, for the time being at least, on button-style turning tooling, which allows you to cut both directions on the spindle axis. When combined with Waveform’s efficiencies, the end result is a set of operations that maximises material removal with less wear on your inserts and a more efficient operation. Set-up is, as you would expect, pretty simple, as it’s focused on maintaining engagement angle, speeds and feeds. Another key focus for the latest set of releases is greater support for tombstone machining. While EDGECAM has supported tombstone in the past, where multiple parts are loaded onto specialised fixtures to enable rapid production, the workflow involved was complex, particularly if you were working across multiple different parts and at the same time trying to maintain a rationalised tooling library. For 2019, the workflow has been overhauled to make the process both easier and more intelligent. It’s an additional licence requirement, but if you’re carrying out this type of work, that’s probably to be expected. To begin, you start with an ‘Insert Tombstone’ command and set up the usual machine options, clearances and so on. Then you start to add in the parts you want to machine. The process uses a common datum to position parts; the idea here is that you do all of the programming for each individual part, then have the system work out how to link multiple instances or different parts, in terms of consolidating common operations (by plane/datum or to minimise tool changes). There are a number of benefits to this approach. First, those originating part programmes are live-linked, rather than inserted as a copy, so any edits to underlying operations can very quickly be propagated to your tombstone set-ups. Second, it means that common operations can be collated and split out as individual sub-routines, such as drilling cycles. Finally, it also allows post processors to be rationalised. It may be the case, for example, that each part on your tombstone is set up for a different machine tool. Now, EDGECAM will consolidate these and ensure that every operation is ready for your machine at hand. It also makes light work of moving jobs to match your machine tool capacity. Alongside the big headline updates, there are always a number of smaller updates that are just as key, particularly for existing users, but which are hard to categorise. A good example is the work done to reduce the number of checks that the system makes when you make certain edits to your operations. Previously, edits would force EDGECAM to run its full set of checks to ensure the part is as should be. While this can be beneficial, the reality is that there is a certain class of edits where it’s not necessary for the whole programme to be checked; for example, a change in coolant. This might sound like a small change, but when you consider the iterative nature of part programming (and particularly optimisation), time eliminated from the process quickly mounts up over the course of an average working week. This update is very specific to EDGECAM Turning and to a specific set of tooling and associated inserts. If you’re not familiar with how the CAM industry works, it’s often the case that a tooling vendor will develop a new method of removing material (or a variation thereof) and then must wait for CAM vendors to provide a way to program parts to take advantage of that tooling. Conversely, the CAM vendor needs to ensure that its leading edge customers can take advantage of the latest innovations in tooling design. This is what has happened with Sandvik Coromant’s CoroTurn Prime tools and inserts, which have been developed to allow cutting in both directions on the spindle axis. These are specially shaped inserts, so the EDGECAM team has had to do a fair bit of development to enable its programming to not only support their use, but also to ensure that their advantages are properly supported (for example, gouge-protecting the inserts and various lead in/lead out strategies specific to this tooling). In addition, a new finishing concept, Up-Turning, is now available to enable high productivity finishing with the use of these specific tooling inserts. 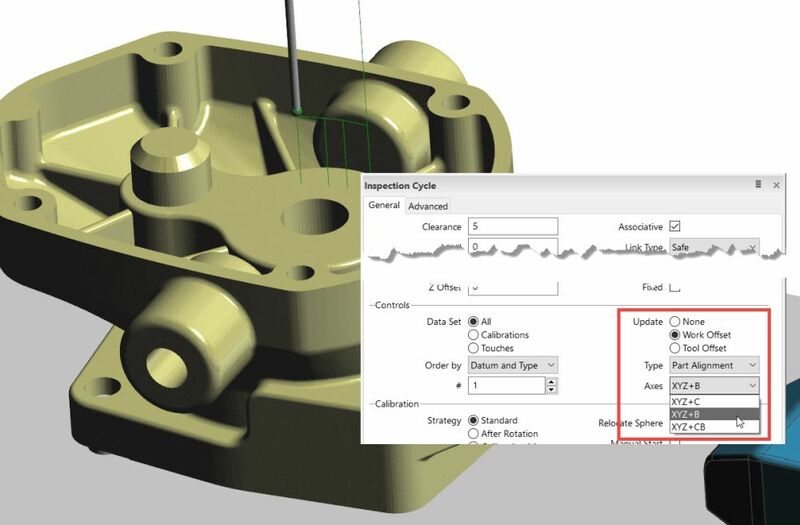 For the last two or three versions, EDGECAM has offered inspection capabilities, as you would expect, based on Hexagon’s PC-DMIS. This has meant that you can now insert inspection processes into your workflow more directly and remove some of the bottlenecks typically found in industrial workflows; for example, moving parts to the inspection department and back again, with all of the repetition this entails, as well as the potential for set-up errors. There is a full set of inspection tools in the EDGECAM Inspect environment, with a probe tool store supporting Hexagon, m&h and Renishaw probes. The tools automate some functions, such as automatically finding matching features such as holes on a single PCD, for example, and automating inspection set-ups. 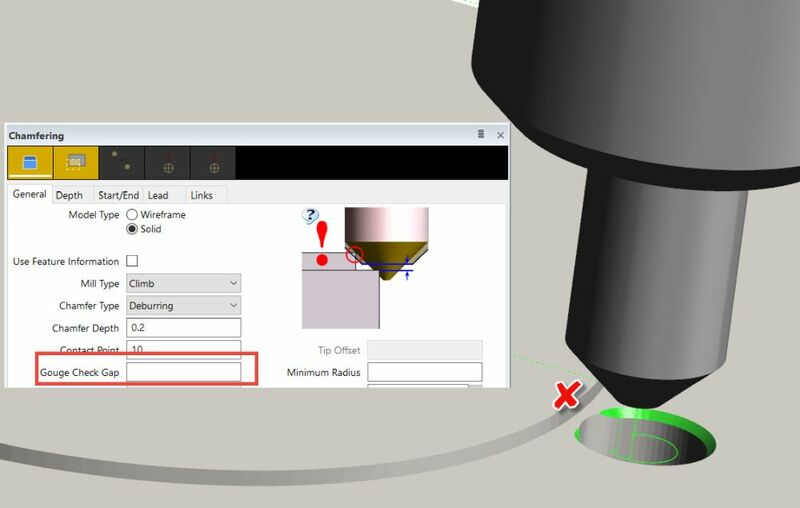 Using the gateway, it’s also possible to build up links between EDGECAM, inspection and a feedback loop. To do this, you would set up inspection entities and operations, then create the inspection cycle which incorporates an element of calibration. The system will then generate the G-code to drive your probing process. 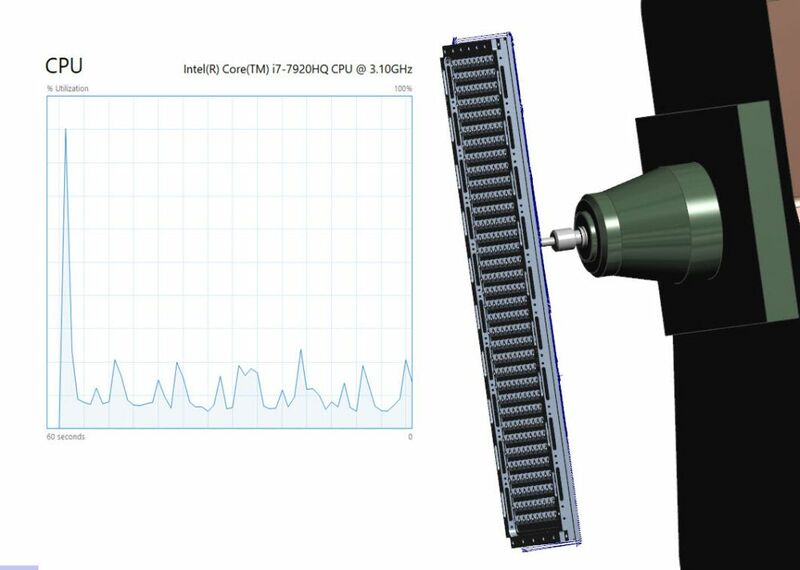 The machine then performs the operations, captures the data and, via Hexagon’s NC Gateway, returns it to the machine as a report that can be used for standard inspection or perhaps as the basis for on-machine verification and adaptive set-ups. Of course, this means that your internal inspection processes might need to adapt to having your CNC machine effectively ‘marking its own homework’, but given confidence in your machine tools, there are some serious time savings to be had here. The last update to EDGECAM that we’re going to look at is a new set of functionality built into EDGECAM to add support for DED (Directed Energy Deposition) additive manufacturing. For those that are unfamiliar with this, it involves using a CNC-controlled head that deposits molten metal in layers, just as any 3D printer would, either by using a rod-fed process similar to welding or using a powder feed and plasma torch. The actual CNC mechanism that moves these DED heads can vary from pretty standard CNC machines (either specially built or retrofitted), gantry-based systems or industrial robot arms. Also, as should be obvious, this approach relies on many of the core competencies of any CAM system, with the key difference being that the machines are typically depositing material, rather than removing it from a billet or a casting. As a result, Hexagon has adapted the most suitable operations from EDGECAM to enable programming of DED set-ups, adding in those key parameters that need to be fed to the machine alongside movement coordinates, including laser power, gas and powder/rod control, speeds and so on. There are also a couple of new operations brought across from elsewhere in the Hexagon portfolio. A good example here is the lace cycle. Again, this is a pretty common or garden operation in the machining world (typically for more complex surface machining), but when flipped into deposition operation, it makes huge sense, because it allows the user to program stock build-up using a form and parallel runs of material, combined with an exterior boundary (or vice versa). Essentially, you pick the form you want to build and define the parameters.The system will build up that form using layers of parallel laces and boundaries. You have control over the order of those operations and can add in variations, such as rotating the lace orientation by 90 degrees per layer. There is huge potential here, assuming the correct machine tools are in place, to combine these additive tools with more traditional machining. We’re certainly seeing a move towards finding new ways to integrate additive deposition and traditional removal of material more closely; for example, alternating between deposition layers and machining passes to improve accuracy, reduce post-processing and better handle thermal issues that arise in such processes. 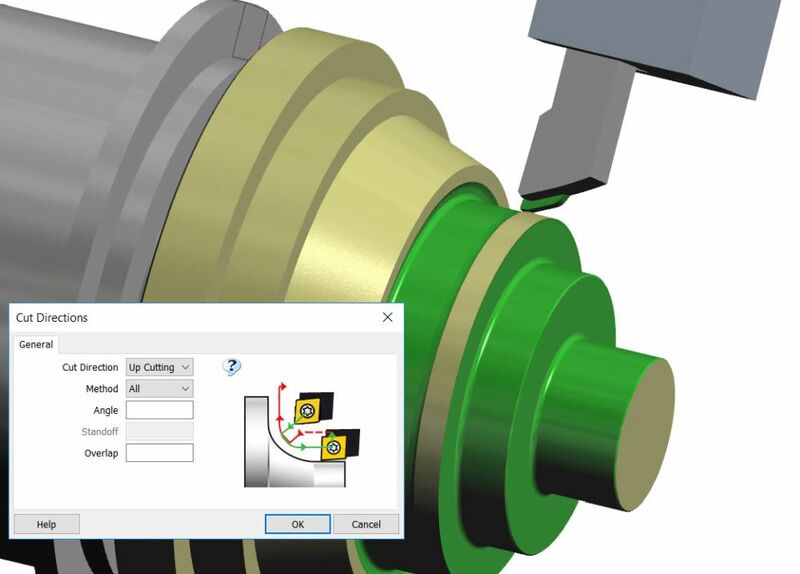 EDGECAM has been through something of a renaissance and some of the updates made in the last few releases show that it’s one of the more advanced and current tools in the Hexagon armory. On the subject of Hexagon, the move to rebrand all of its CAM systems under the parent company name will surprise a few, particularly considering it’s only relatively recently that some of them took on the Vero name – but this change was inevitable. What has also become clear is that there’s been some serious reorganization of how this range of tools is developed and I’m told that the company’s internal development teams are now organized according to competency rather than product, so we should start to see more meaningful updates across all the key Hexagon machining products as we move forward. For existing users, there’s plenty to get stuck into in the 2019 release. For those working at the more complex end of the spectrum (such as mill/turn and 5-axis), it’s clear that there has been a good amount of work done to make tools more efficient, both during programming time as well as on the machine. It’s also good to see that the system is expanding its reach to cover both new machining technologies (such as those fancy cutters from Sandvik) as well as exploring the future promise of DED additive processes. 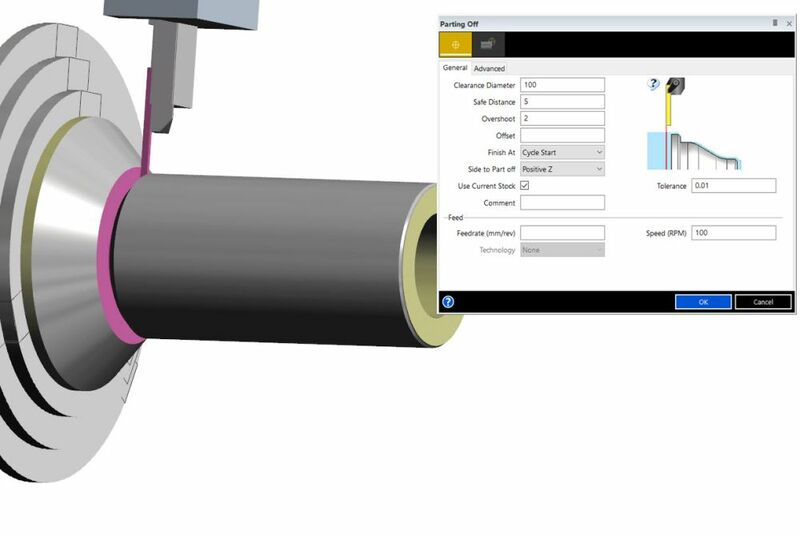 Dreambird's web page offers some detailed information about EDGECAM's latest release, as well as separate descriptions of all the main functionalities. If you have got any questions or are interested in an EDGECAM presentation focusing on your manufacturing specifics, please contact us.